I’m always thinking about hope. 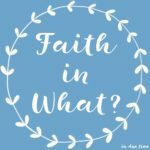 After surpassing year 5 of my wait to become a mom, I wonder how is it possible that I have any hope at all? Doctors giving us little chance of conception. The negative pregnancy tests. Month after month left heartbroken. That will create a lot of hopelessness, right? My vote is wrong. The beautiful thing about hope is it actually has nothing to do with the circumstances around me. It isn’t dictated by what the doctors have said or what my body is doing or what google told me. That kind of hope? It isn’t the worldly hope, or as I refer to it as a “wish” kind of hope. So many wish they will meet their future husband or wish they will get pregnant. But my hope? It’s completely different. You don’t have to cross your fingers for it. You don’t have to knock on wood for it. You don’t have to wish for it to happen. The hope that I’m talking about is based on who God is and what he has said. My hope, biblical hope, is much different than cultural hope. This world might define hope as one thing, but me? I define hope as joyfully anticipating something good. My hope leaves me at the edge of my seat bursting with joy waiting for what’s to come. My hope knows what the next chapter brings. My hope brings tears down my face because I know how the story ends. My hope knows that even though my circumstances and friends and family say otherwise, I will be a joyful mother of many children. And my hope? It leaves me expectant. Spiritually and emotional expectant, an expectancy so great that it far outweighs any physical expectancy that comes with pregnancy. This hope, my hope, biblical hope? Faith grows with this kind of hope. 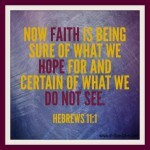 The more I hope, the more my faith grows and the more my faith grows, the more I hope. This kind of hope knows that God’s promises are yes and amen and it calls them into existence. This kind of hope can’t be taken away by a negative pregnancy test or the celebration of another baby, that doesn’t belong to me. This hope lasts months or even decades. This hope, is a lot of like the hope Abraham had, which in Romans 4:17-18 says, “When everything was hopeless, Abraham believed anyway, deciding not to live not on the basis of what he saw he couldn’t do but on what God said he would do.” This hope means that even when everything around me looks dark and dim and hopeless, I still have reason to have hope. I focus not on what I can’t do, but I focus instead on what God can do. And when I have a revelation of all that God is capable of, it increases my hope even more. The hope I am talking about is kept alive. It’s a deep well of living water that keeps flowing from the source. It’s a hope that sets us up to see the impossible. It’s a hope that creates an environment of miracles. It’s a hope that enables us to experience breakthrough. It’s a hope that comes from God and God alone. It’s hope that 6 years later can still be alive. It’s a hope that has carried me through a lot of hard days and will continue to carry me through all the days to come. 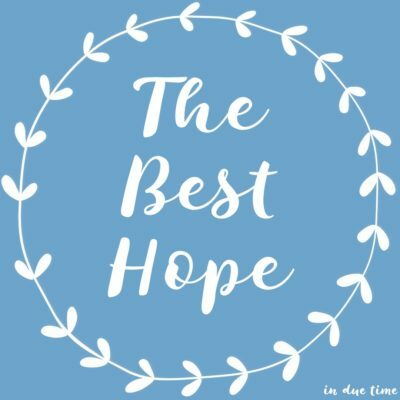 It’s the best hope there is and it makes me realize that I’m pregnant with hope. And the beautiful thing about this hope? It’s not just for me. 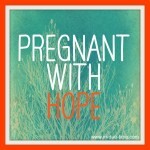 It’s not just my hope, but Jesus desires you to pregnant with this kind of hope too. It’s the best kind of hope! Great post. I’ve been struggling to clearly write out the difference between worldly hope and godly hope—but you got it right, and made it easy to understand. Jesus gives not as the world gives, and that includes hope too. Praying for many blessings for you in your time of hopeful expectation, Caroline. 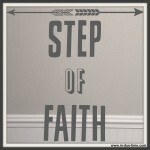 This blog is an inspiring witness to Godly hope. So thankful we have a hope that is sure and strong awaiting an eternal glory i n Heaven. Christ is our hope! Love this! I wrote a similar post recently about biblical hope. God is so faithful and hope is a beautiful thing. Thank you for sharing! You have such a lovely way with words. I know the struggle to trust and have eternal hope when our present circumstances aren’t what we dreamed. I am so thrilled to read this encouragement for my soul. I am waiting on different things tonight but needed the reminder that my God can do all things and He has my eternity in his hands. 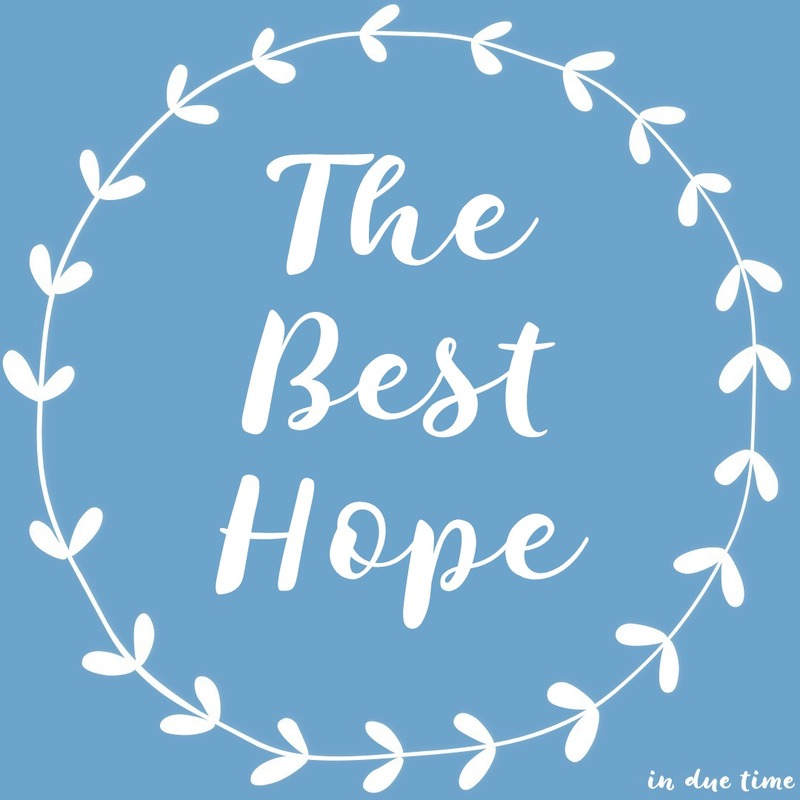 I have thought a lot about hope in what I want versus hope in Christ and I just love your reflection on biblical hope. Thanks for sharing. 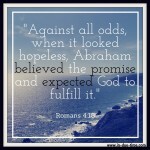 Love the verse about Abraham you shared here. Hope is about living on the basis of what God can do, not on what we can’t. Love that! 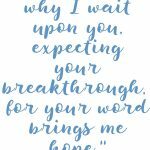 Your persistent expectancy always encourages me! And yes! We are going to be the joyful mothers of children! Yes!! The perfect hope! The Lord is the only one I can put hope in and know that I won’t be let down! He does good in his promises. It’s just d to remember that it is in HIS time…not ours! Amen! !